What happens if the bees disappear? It’s simple: No bees, no food. Right now, we’re letting big agrichemical companies use more of the chemicals that are known to kill bees just as we’re in the midst of an unsustainable die-off in bee populations. That has to change. To save the bees we need to phase out and then ban the use of neonics and we need to ensure that they are not replaced with equally or more dangerous chemicals. We worked to address this widespread problem by taking action locally. 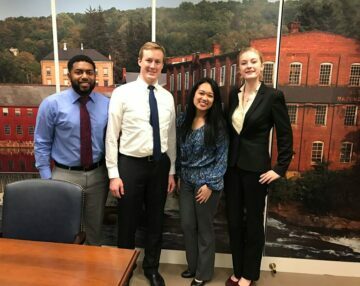 We worked with our partners at BeeCampus USA to qualify UConn Storrs to be the FIRST Bee Friendly Campus in Connecticut. 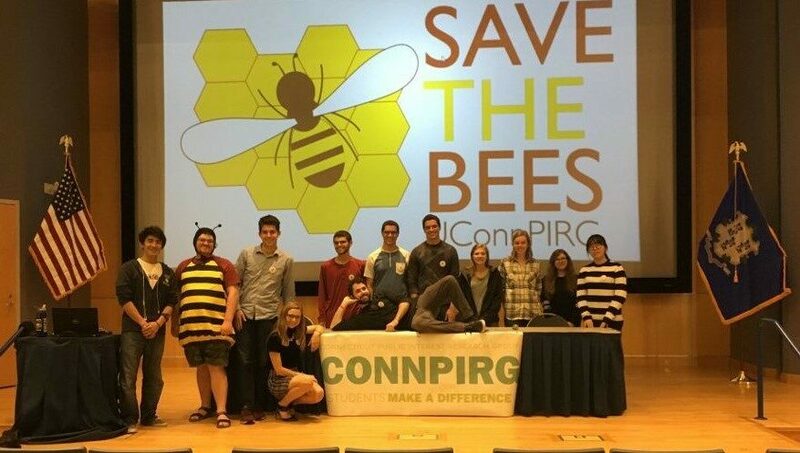 Students followed BeeCampus’s 7 step checklist which included establishing a Bee Campus Committee at UConn to create a campus pollinator habitat plan, create service learning projects, work with campus departments to offer courses on pollinators, and working with dining services to hang up signage to educate the campus community. But the work doesn’t stop there! 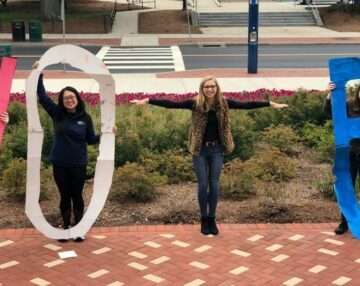 Students continue to Save the Bees on campus by volunteering at Spring Valley Farms to clean and prepare their beehives, hold educational panels and movie screenings, and educate children at local elementary schools about the importance of bees. 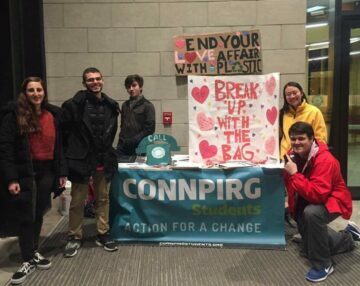 By providing my contact information, I am consenting to have CONNPIRG Students and their affiliates contact me with information about this and future campaigns.